KKFE are proud to announce 2nd National Kho Kho Championship tournament and hope to deliver a better and more competitive format of Kho Kho. 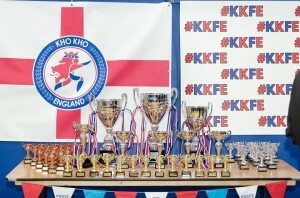 We are also proud to announce the 1st Male and Female National Kho Kho Championship in England. It’s through hard work of our volunteers, management team and dedication of our players through which we are able to achieve this platform. We would like to thank those you have continued to show their love and support through this journey and this journey will continue …. This entry was posted in 2016, Announcements and tagged Tournament 2016. Bookmark the permalink.